An increasingly popular pay-for-performance healthcare delivery model that emphasizes continuous, coordinated patient care. It’s been shown to lower costs while improving healthcare outcomes. Practices obtain PCMH certification through organizations such as the National Committee of Quality Assurance (NCQA). The medical “home” is actually the PCMH-certified primary care practice which acts as the patient’s home base encouraging comprehensive, accessible care that’s coordinated across a team of providers. More than 90 health plans and 43 state Medicaid programs recognize this model of care delivery. Practices can obtain up to 3 levels of PCMH status, Level 3 being the highest since it has the most qualifiers. Financial incentives in the form of sharing in the savings realized by payers is available to practices that adopt the PCMH model. Another reason to embrace PCMH is that insurance companies are steering patients toward PCMH-certified practices by advertising them as such in their directories that are used by patients to find doctors. What’s needed for PCMH status? 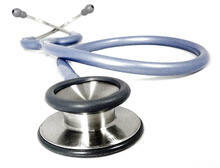 The practice must have a certified EHR…Medics EHR from ADS is ideal to use for PCMH reporting.